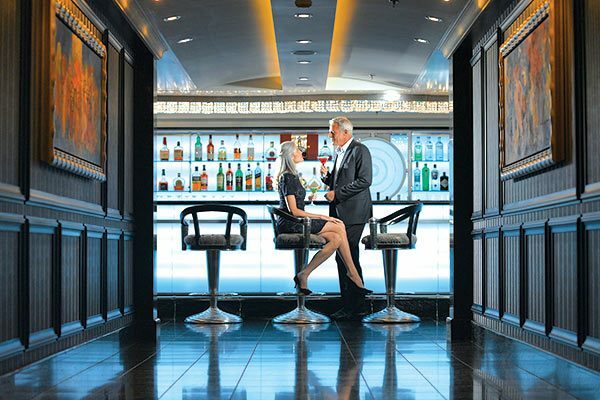 Sail with Oceania Cruises, and you’ll enjoy menus crafted by Master Chef Jacques Pépin. 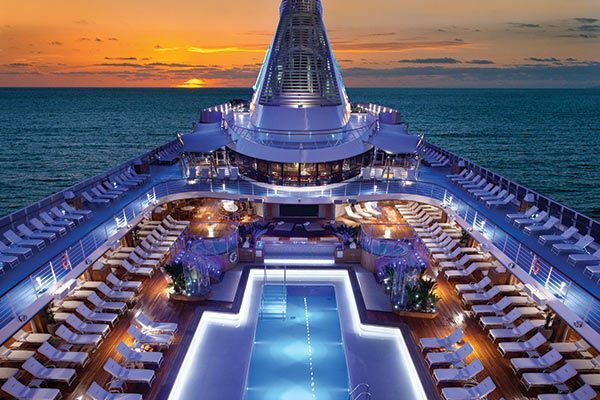 It’s never crowded aboard Oceania’s sleek ships. In fact, you can look forward to a more intimate experience on board. 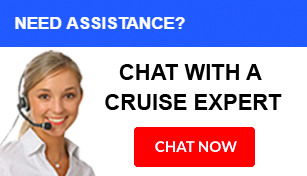 You can also expect a higher level of service than most cruise lines. 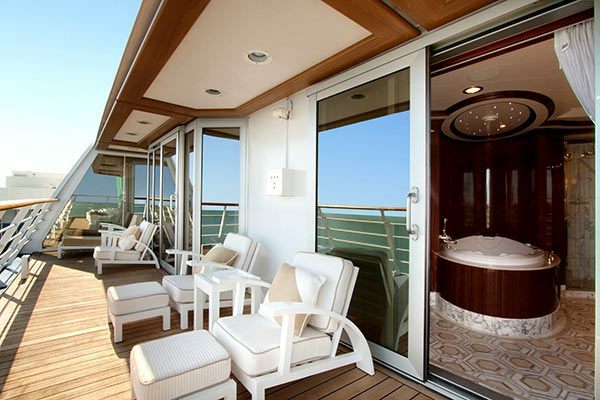 Tasteful staterooms offer luxurious comfort. 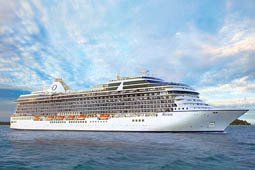 Plus, 24-hour butler service on Oceania will cater to your every whim. Sail to lovely locales on your Oceania cruise, like Africa, Asia, and Tahiti. 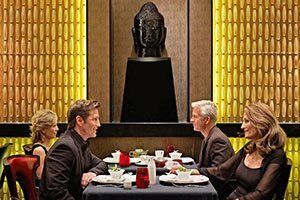 Savor a fantastic meal at Red Ginger or go for afternoon tea. 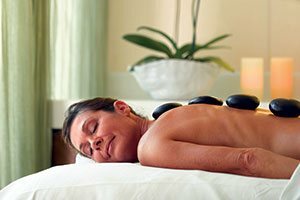 Or treat yourself to an award-winning excursion and a well-earned massage at the Canyon Ranch SpaClub. 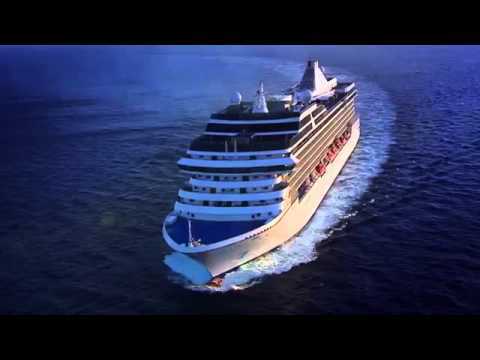 For the finer things in life, sail Oceania Cruises. If you prefer to plan the day in advance, you might take part in numerous scheduled activities, such as stimulating lectures or a tasting of rare vintage wines. If you'd rather create your own diversions, you might lounge by the pool, curl up with a book in the English-style library, or try your luck in the casino. 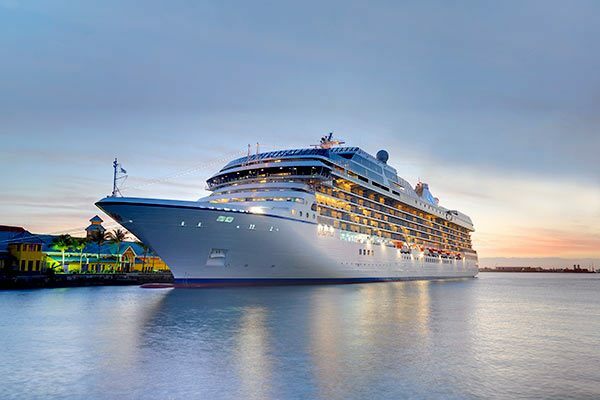 No matter what you choose, you're sure to enjoy every moment you spend aboard Oceania Cruises' ships. 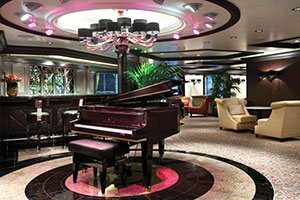 From headline acts to comedians to lively jazz ensembles to full-scale production shows, our ship lounges are the center of nightly onboard entertainment. Before savoring a gourmet meal, enjoy a glass of fine wine and spirited conversation with newfound friends amidst the opulence of the convivial Grand Bar. 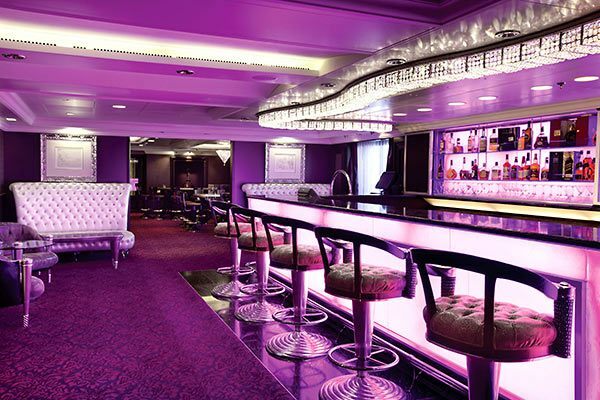 With dramatic floor-to-ceiling windows offering sweeping views from the bow of the ship, Horizons lounge is the perfect place to sip your favorite libation or dance the night away. Martinis serves various incarnations of this famous cocktail and many others in an intimate atmosphere featuring live piano music. Whether blackjack is your game or roulette is more your style, try your hand in the Monte Carlo–style casino. This onboard wine-tasting venue available on Marina and Riviera offers both connoisseurs and neophytes the opportunity to enhance their appreciation of fine wine and perfectly paired cuisine. During the day, you might sample a flight of regional wines that the head sommelier has hand-selected from the wine cellar. Evenings are an exclusive affair for a maximum of 24 guests, allowing for an intimate, epicurean experience. You will be treated to a seven-course gourmet dinner, where each course is delightfully paired with an appropriate premium wine. Boldly claiming to serve "The Finest Cuisine at Sea™" might seem to be a hyperbole, but we wouldn’t make such an immodest assertion if not for the tremendous contribution of the legendary Master Chef Jacques Pépin. As our Executive Culinary Director, he inspires our chefs to perform feats of gastronomic wizardry. 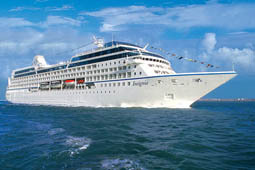 The intimate and luxurious ships afford their chefs the luxury of cooking for fewer guests. Never having to rush or create dishes en masse liberates them to meticulously prepare your individual order, exactly as you wish and just as you would expect in the finest restaurants, using only the freshest, highest quality ingredients. In harmony with its philosophy of encouraging a healthy, balanced lifestyle, Canyon Ranch® also offers its delicious and wholesome gourmet cuisine onboard our ships. Memorable dining begins with open-seating, as it allows you to dine when you are ready and with whomever you choose. Regardless of where you dine, there are never surcharges. The Grand Dining Room is a study in stateliness, a tribute to the spirit of Europe’s marquee restaurants in 5-star hotels that inspired its dignified yet convivial ambiance. Handsomely decorated in rich woods, classic fabrics and soothing colors, the expansive dining area exudes splendor. Tables are beautifully set with elegant bone china, sparkling Riedel crystal, gleaming silver, and fine cotton linens. Remarkably, as sumptuous as the Grand Dining Room’s décor is, guests always feel completely at ease within its grandeur. 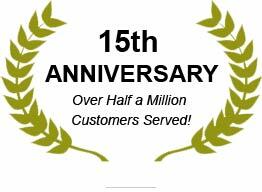 Much of that is a direct reflection of the formally attired and classically trained wait staff, graciously serving course after course of European-inspired cuisine or delectable alternatives such as healthy, savory Canyon Ranch® selections or Jacques Pépin’s signature dishes. In Italian, Toscana means Tuscan, and every aspect of this magnificent restaurant pays homage to this beloved region of Italy. Just as Tuscan cuisine evolved from rich family traditions, many of our recipes originated with the grandmothers and mothers of our own Italian culinary staff. Similarly, the sommeliers are from long lines of wine-producing families, so they inherently know the characteristics of each vintage, which ensures that their recommendations perfectly complement the simple yet keenly balanced Tuscan cuisine. Presented on elegant, custom-designed Versace china, each dish is a masterpiece that exemplifies the essence of Tuscany and celebrates Italy’s culinary passion. Exquisitely decorated with heirloom antiques, pickled wood furnishings and art from Jacques Pépin’s personal collection, Jacques was modeled after a Parisian bistro. Comfortable and eclectic, the ambiance is pure French, as is the cosmopolitan yet wonderfully embraceable cuisine. Luscious aromas waft from the gleaming show rotisserie, where chicken, duck, pork and veal roasts slowly turn. Each dish is a classic, ingeniously reinterpreted by Master Chef Pépin. Absolutely magnifique, Jacques is featured aboard Marina and Riviera. With a nod to feng shui, Red Ginger radiates harmony and tranquility aboard Marina, Riviera and Sirena. The interior simply glows with ebony woods, hand-blown glass light fixtures and striking, modern Asian artworks. To complement the stunning décor, Red Ginger’s chefs have created contemporary interpretations of Asian classics. From the miso-glazed sea bass to the lobster pad Thai, Red Ginger’s gustatory pleasures are as striking as the visual ones. Informal and carefree, Terrace Café is wonderfully inviting whether you dine indoors or alfresco. First thing in the morning, the entire space is infused with natural sunlight, stimulating the appetite for the sumptuous breakfast selections. Come lunch, the expansive menu of international dishes changes entirely, beautifully complemented by flavorful roasted meats and the magic of the pizzeria’s oven. In the evenings, the cuisine takes on a local flair, such as a hearty paella in Spain or a rich beef bourguignon in France. The following day, an entirely different series of menus will delight you. After a day of enriching shore excursions or relaxing activities onboard, you may wish to dine in the privacy of your suite or stateroom. An extensive room service menu is available 24 hours a day. Owner’s, Vista, Oceania and Penthouse Suites also feature Butler service, allowing guests to enjoy course-by-course, in-suite dining with cuisine selections from the onboard restaurants. A sanctuary of healthy living and spiritual nourishment, the Canyon Ranch SpaClub® on board each ship enables you to care for your body as well as your soul. Through fitness and a multitude of healing therapies, you can discover ways to unleash your untapped potential and make positive changes in your life. Lose yourself in deep relaxation with a signature Canyon Stone Massage or perhaps a Thai Massage, which originated in Buddhist monasteries. 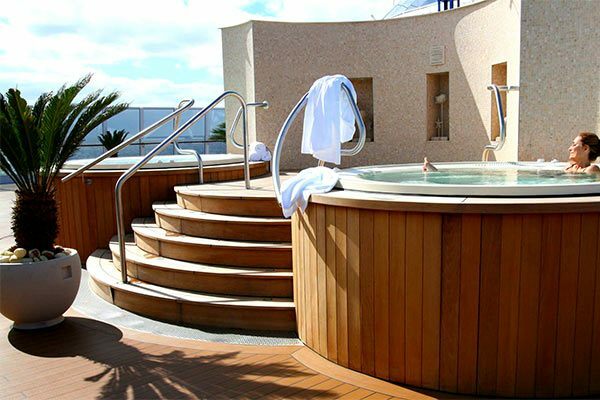 Ease into the soothing waters of the private, open-air whirlpool spa. Savor exquisite Canyon Ranch cuisine in the onboard restaurants and enhance your nutrition through wellness consultations. This is much more than a visit to the spa. It is a pathway to radiance. The salon at the Canyon Ranch SpaClub® offers a range of services for those who want to enhance their beauty routine, refresh their look or simply indulge in some pampering. Treat yourself to a new hairstyle, a professional makeover, or a relaxing manicure and pedicure. One of the most popular services is the Canyon Stone Pedicure, which uses soothing massage with warm basalt stones, aromatic essential oils and a nourishing mask of warm paraffin to revitalize your legs and feet. 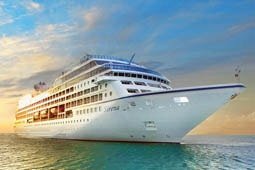 Whether you are looking to stay fit or start a new exercise routine, you’ll find everything you need in Oceania Cruises’ state-of-the-art fitness center. Take advantage of the latest fitness equipment or join a class in yoga, Pilates, indoor cycling or aerobics. Both private and group fitness classes are available, as well as personal training.